The Pokémon Company has revealed Surfing Pikachu in Pokémon Let’s GO, Pikachu! 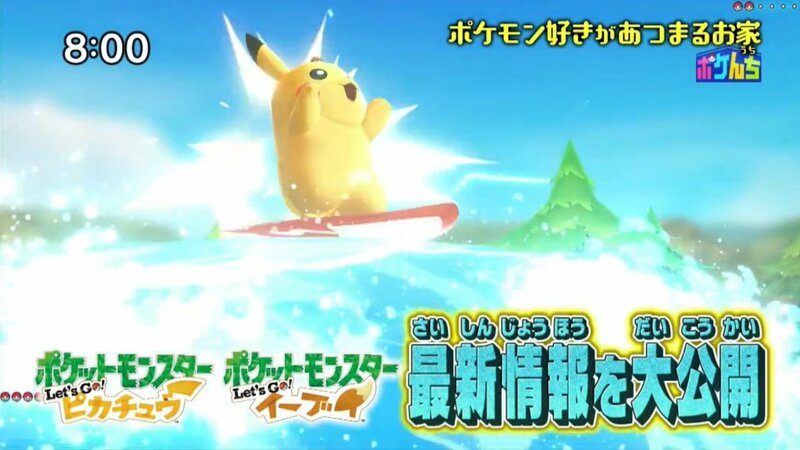 and Pokémon Let’s GO, Eevee!, the electric mouse seen riding a surfboard in this weekend’s Pokénchi episode. Game Freak director Junichi Masuda will make an appearance on the Japanese variety show, which is currently being broadcasted across Japan. Serebii reports that Pikachu was seen using the move Surf in a battle against the Rock Pokémon, Geodude. It was in Pokémon Yellow that Surfing Pikachu had first appeared, braving the waves in a minigame called Pikachu’s Beach. This challenged players to flip Pikachu to perform ‘rad’ moves in an effort to score as many points as possible within the time limit.